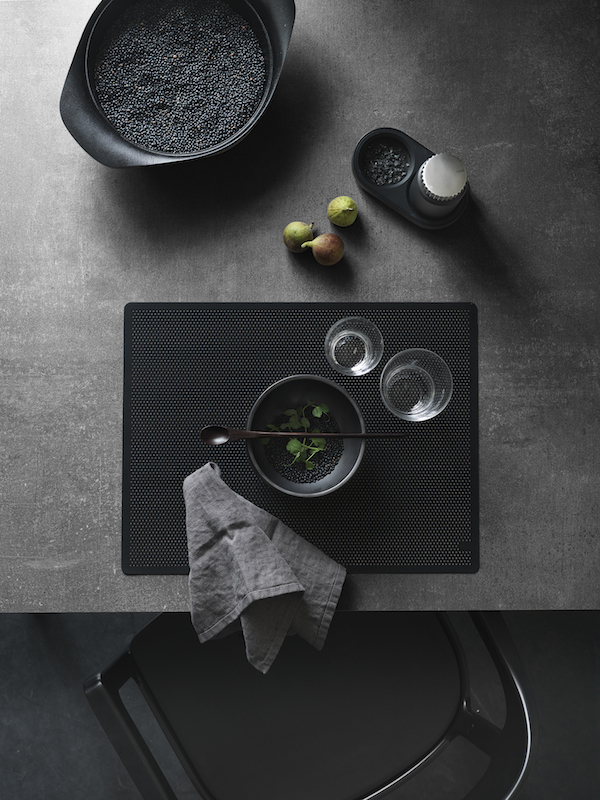 When, like me, you love a good dose of black accessories at home I guess you will be really happy seeing these pictures. 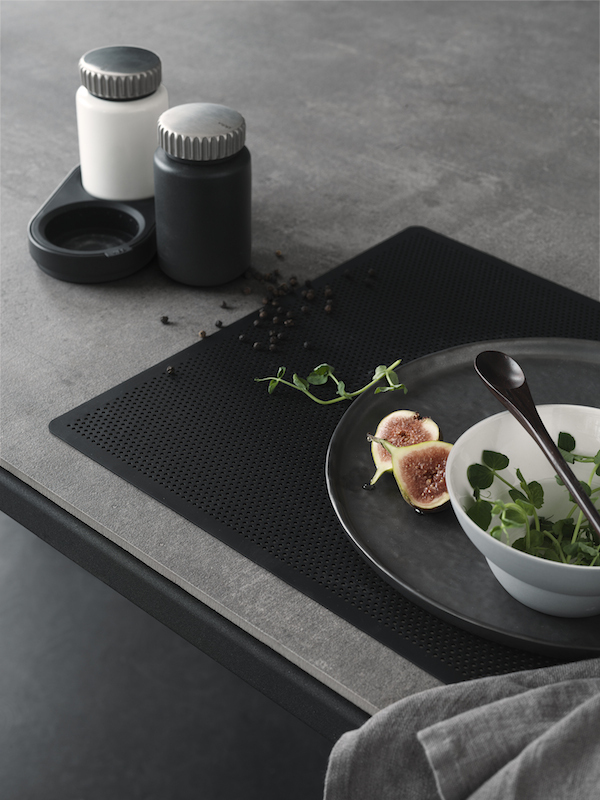 Vipp has designed a placemat to complete a table setting. 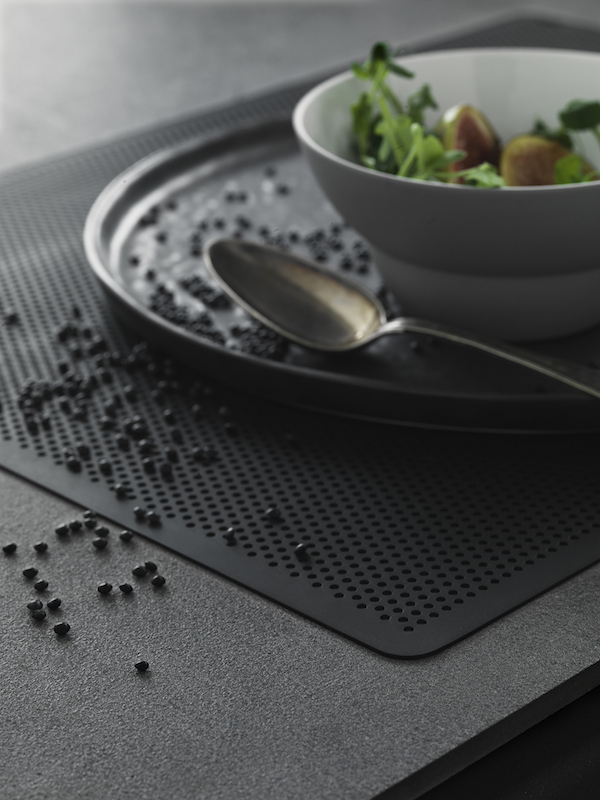 As an alternative to traditional fabric placemats, it is developed from soft, perforated silicone rubber, and it is machine washable which make it even easier to use. 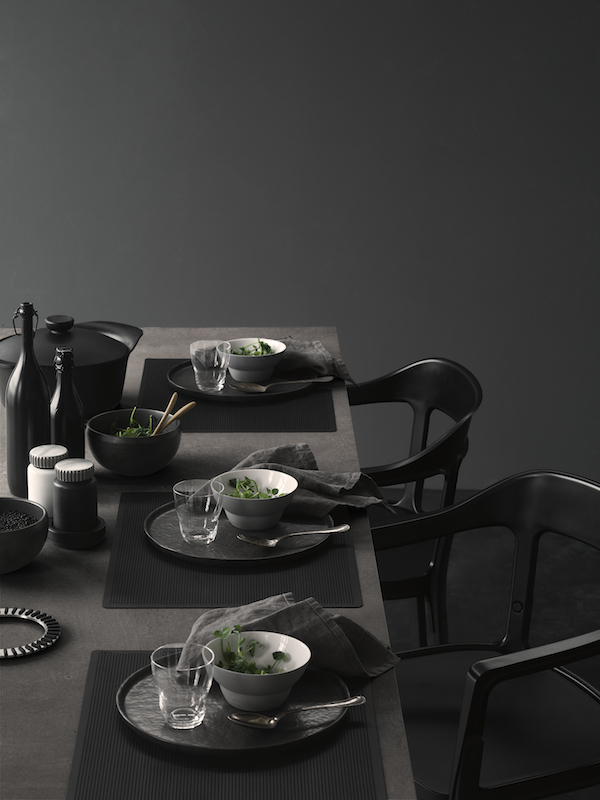 A big yes to these and please include me this Vipp table I styled as well!